The new HTC Vive Pro is an impressive bit of kit, but after having it strapped to my face at CES I’m less enthused about the visual upgrade than I am about the huge ergonomic improvement. All those extra VR pixels are going to need some serious GPU horsepower, so check out our pick of the best graphics cards around. 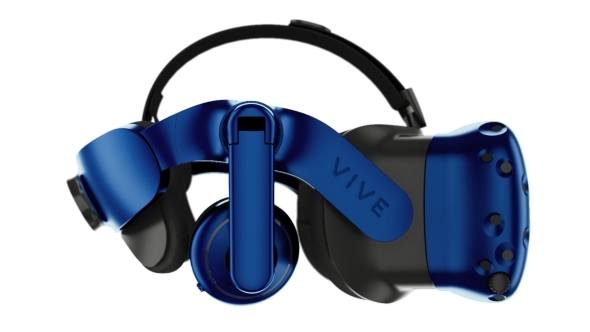 HTC announced the new Vive Pro on Monday, promising a a pair of 3.5-inch OLED displays with a higher resolution than the original Vive, built-in headphones, twin microphones, and a dual-camera setup on the front. They’ve also integrated the best bits from their Deluxe Audio Strap to make it easier to mount on your bonce. 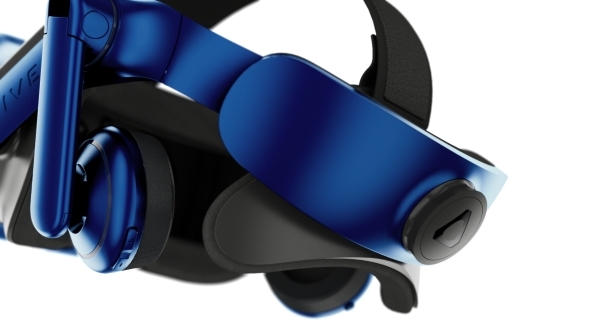 Before trying out the new Vive Pro headset I expected that the increased resolution on offer would be the biggest plus point for the new device, but that definitely came in a distant second to the overall design. Don’t get me wrong, I’m very pleased HTC have improved the native res of the screens. The original 1080 x 1200 per eye resolution feels a little gritty, so boosting that up to 1440 x 1600 seems like it would be a pretty hefty upgrade. We’re talking about an extra two million pixels being thrown around, which is a 78% improvement over the first Vive. But the difference when you’re wearing it doesn’t seem that stark. I tested the original and Pro versions of the Vive one after the other, in the same Intel demo setup, and the visual upgrade wasn’t as massive as I’d expected, or maybe hoped. Text is definitely clearer, and things are inevitably a little sharper, but if you were hoping for a step-change in VR visuals you might end up being a little disappointed. It’s the ergonomic upgrade that is the most obvious, however, and that was what excited me most about my first experience of the Vive Pro. It’s so much lighter than the standard version, and it feels more balanced on your head too. That alone is going to make your time in a virtual world more pleasurable and comfortable for longer periods of time. The new strap uses the same dial-based tightening mechanism as the Deluxe Audio Strap and adds in extra padding at the back to help it fit snugly without squeezing the life out of your skull. HTC haven’t published any specs for how heavy it is now, but because of the improved balancing it feels far less than the first Vive’s 550g weight. 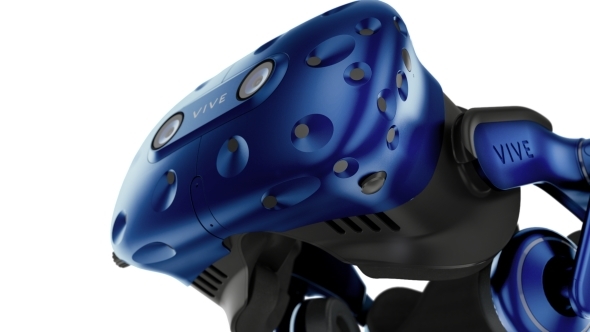 HTC did manage to shave 15% off the weight through improved manufacturing in successive production runs of the Vive, and it seems they’ve gone even further with the Vive Pro. 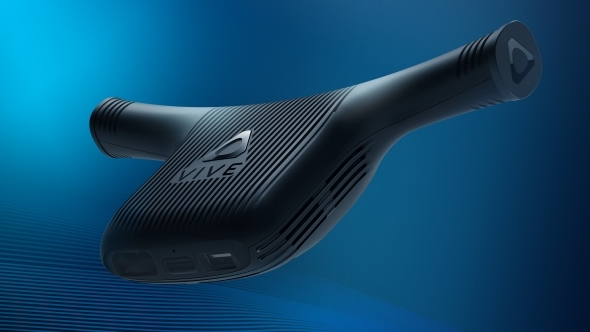 Despite the increased resolution putting extra demands on the wireless bandwidth, the newly announced cable-free module that’s due to ship after the summer will still work with the Vive Pro. It needs a different cabling system, thanks to the single-wire setup of the Pro, but doesn’t really have any problems with the new native resolution. Because of the cable change, and the fact HTC hadn’t supplied Intel with the new wire, I couldn’t try the wireless module out with the Pro, but did get to play with it on the standard Vive. It’s got a fresh design, but still feels as reliably responsive as it did when I tried Intel’s WiGig prototype at E3 last year. What it doesn’t do, however, is feel as floppy as the retro-fitted demo kit did back then. With the new module securely attached to the headset you genuinely will forget there’s anything extra on top of your head.